All the parts are dispatched within 24 hour of purchase and will be sent with trusted couriers. Tracking information available on request. 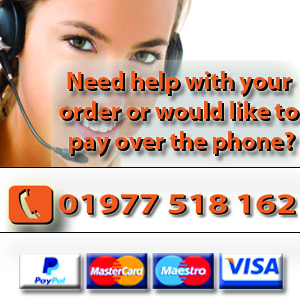 When ordering, please add your daytime phone number to your order to aid the courier company. The quoted shipping cost is for delivery within UK mainland, but we offer deliveries worldwide. Please ask for quote. We offer home deliveries for our bikes with flexible time-frames, please ask for a quote before purchasing. Deposit or full payment need to be paid prior to delivery. When only a deposit is paid, the rest of the payment need to be done either by cash or via PayPal before the goods will be transfered to the buyer. 1. Any personal details you type in and submit, such as name, address, email address, etc. 2. Data which allows us to recognise you, your preferences and how you use this website. This saves you from re-entering information when you return to the site. This data is collected by cookies from your navigation around the site. A cookie is a small amount of data which we send to your computer. The data is then stored on your browser or hard disk. Most web browsers can be set to prevent you from receiving new cookies, notify you before accepting cookies or disable cookies altogether. Details about this can normally be found in the Help facility provided with your browser. If you disable cookies, you will not be able to receive personalised facilities and your progress to check out may take longer. The cookies store information only for as long as you are viewing the website. If you do not want your visits to our website to be monitored in this way you can opt-out by clicking here. 3. Your IP address (this is your computer?s individual identification number) which is automatically logged by our web server. This is used to note your interest in our website. 1. You can ask us to update your personal information by emailing precise details of your request to info@bikeaholics.co.uk. Please ensure you type "update" in the subject line of your email. We offer a 14 days return service on faulty parts. Please note that all our items are marked and if these marks are removed we cannot accept the goods back. We can only accept goods in its original condition back (as photographed) and we cannot offer liability or return on items which has not been fitted by a professional and therefore caused any damages to the item or to the motorbike. Please ensure that you have read and satisfied yourself with our terms and conditions before placing an order with us. To purchase a product from our site, first click on the item of interest. All of the product information will be on this page. Select the required information, (size, finish, or other product options), and click "add to cart". After adding the item to your shopping cart, you can either continue shopping or click on "checkout" to complete the order. If you continue shopping, you may press the "view cart" button on the left hand side of the screen at any time to verify what is in your shopping cart. Then, once you have added everything you wish to purchase to your cart, press "checkout" from the view cart screen to go to our secure checkout form. Once you have completed your personal information your credit or debit card payment will be taken from the online secure HSBC banking facility. If you wish to phone through your order, please look through our online catalogue, making a note of your desired purchases and exact specifications and then phone our sales line on 01977 518 162. After taking your order, we will ask you for details in order for payment to be made. If you would prefer to e-mail us with your request, please e-mail your order to info@bikeaholics.co.uk. In order to capture all of the information we require to process your order. Please do not send your credit/ debit card details via e-mail for security reasons. 1. The Contract price for the supply of Products shall be as set out in the Confirmation. In the event of any increase in the cost to the Seller of raw materials, labour, overheads, or any increase in taxes or duties, or any variation in exchange rate the Seller may increase the Price payable under the Contract upon written notice. If notice of price increase is given by the Seller, the Buyer shall have the right to cancel the order and receive back any sums they have paid. Notice of cancellation must be received in writing by the Seller within seven days of delivery of the notice of price increase to the Buyer. 2. If the Seller makes an error in the Confirmation or any invoice or any receipt the Seller will correct that error within 60 days of being notified of any error. 3. Payment of the Price shall be due on the date of the purchase order. Payment shall be due before the delivery date and time for payment shall be of the essence. 4. No payment shall be deemed to have been received until the Seller has received cleared funds. There will be no delivery until cleared funds have been received. 5. Payment for the Products and any delivery charges can be made by any method shown on the Suppliers website at the time the Buyer places an order. 6. Payments shall be made by the Buyer without any deduction whether by way of set-off, counterclaim, discount, abatement or otherwise unless the Buyer has a valid court order requiring an amount equal to such deduction to be paid by the Seller to the Buyer.